Mueller is a journalist and this is an edited collection of articles which are a sort of travelogue of trouble spots (mainly; he also goes to Luxembourg!) in the first few years of the 21st century. They're basically Mueller trying to get a handle on what the hell is going on. 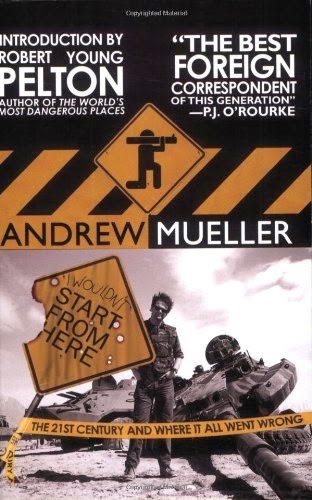 I was a bit worried when the first chapter featured Bono and I realised Mueller is a (former?) rock journalist. I was not in the mood for celebrity sycophancy, so I was relieved to see this was a one-off. There are some well-known people who show up in a few chapters, but they are more along the lines of Al Gore and Gerry Adams (whom Mueller asks why he never joined the IRA!). I really enjoyed it. The writing is good, with enough of Mueller in there to keep it interesting but not make it about him, and I felt that what he had to say tended to be refreshingly non-trite. A look at the ascent of Korean Pop Culture, exploring how it's generated and exported, with a little bit about more general Korean culture as well. 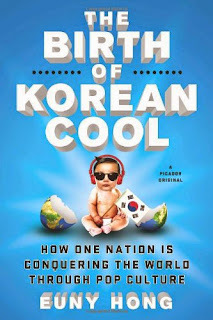 The author is Korean but she spent the first years of her life in the US, where her father was working, before moving back to Seoul in the 80s (where she lived in the Gangnam area). She therefore has an interesting insider-outsider perspective. I thought the material was interesting, mostly, but I felt Hong did best in the sections where her personal experience was relevant. There were times when she was covering issues like industrial policy and it seemed she was a bit out of her depth. Those chapters mainly consist of her talking to people (lots of government officials) and parrotting back what she's told, without applying much critical thinking to it. In those sections we never really go beyond the most surface look at issues, and there were several chapters like that. Interesting read, but it could have been much better.